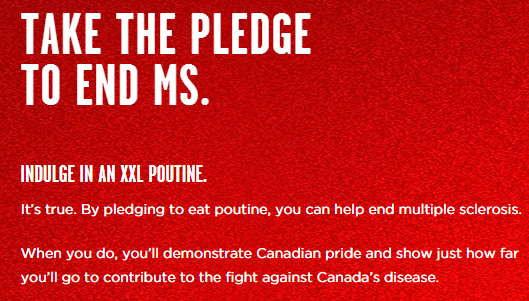 From the annals of junk food fundraising comes the Multiple Sclerosis Society of Canada and their call for you to eat an XXL sized poutine in the name of MS fundraising. "It's true. 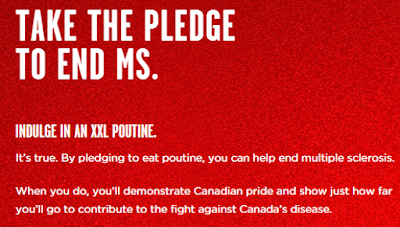 By pledging to eat poutine, you can help end multiple sclerosis." 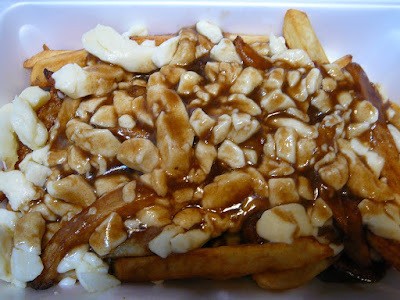 Poutine, for my non-Canadian friends, is French fries smothered in gravy and cheese curds (picture below). Here in Canada, most poutine is served by chip wagons (think a French fry food truck). 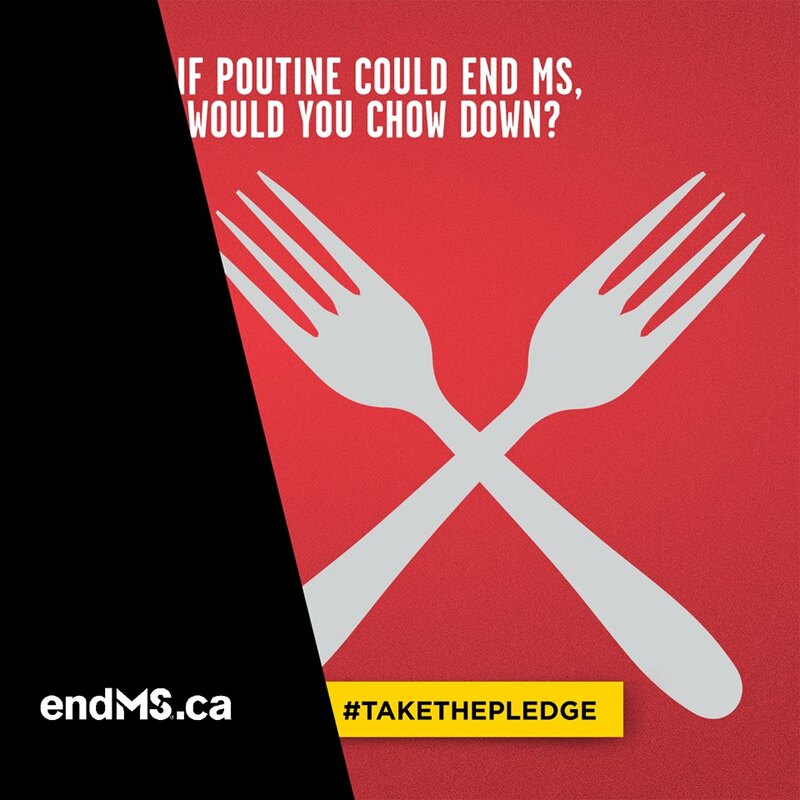 Figure that an XXL poutine packs between 2,000-3,000 calories, and given Health Canada doesn't care about trans-fats, an XXL poutine probably also packs 15-25g of trans-fats with each serving (more on this figure in an upcoming post). 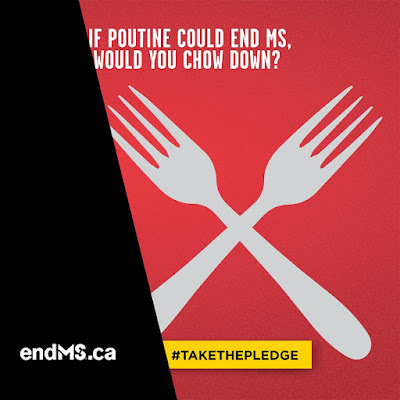 Why health charities are comfortable fundraising by way of promoting unhealthy dietary choices and patterns is something I'll never understand. We need to put an end to junk food fundraising.